The name Garudasana came from the name of “mythical king of birds” Garuda. Garuda is a one type of species of eagle which was use as vehicle by Lord Vishnu that is why it is also known as “Eagle Pose”. This asana bear a resemblance to grandiose bird reputation which possess unbelievable powers of meditation and brings calmness and flexibility to entire body including mind and spirit. In English this asana is known as Half Spinal Twist Pose because it benefits your entire body without any type of bending, straining or twisting. Here we showcase some steps for how to do Garudasana and easy ways for obtaining Garudasana benefits. 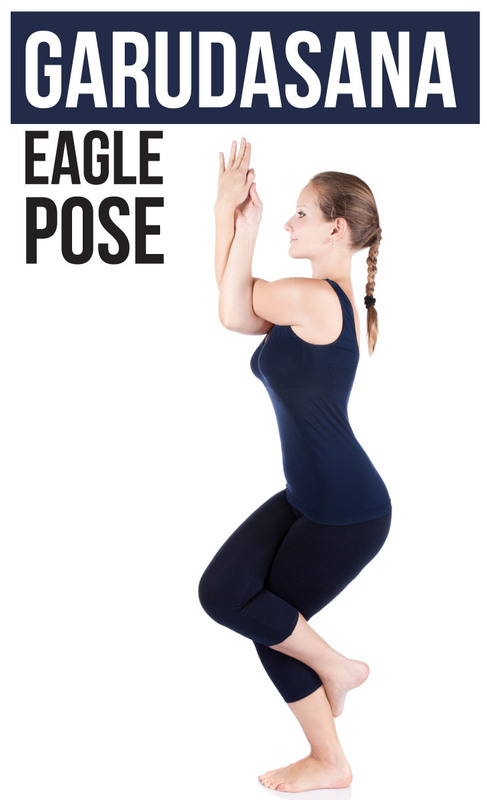 Following are the steps for how to do Garudasana (Eagle Pose) with proper technique and approach for obtaining its precise benefits. First of all stand straight in Tadasana pose. Now slightly bend your knees, lift the left foot up and balance the body by right foot by crossing left thigh over the right thigh. After that put your left toe on the ground by pressing the foot back and hook top foot behind lower right calf for balancing on right foot. Now stretch the arms straight forward such that they are parallel to the ground. Raise the hands in front direction of torso by keeping right above the left one and then bend the elbows. Then snug the right elbow into the crook of left foot. Now raise your forearms making right angle with the ground such that back of hands are facing each other. Then press the thumb of right hand and pass it in front of left little finger. Now press the palms together and stretch fingers towards the ceiling by lifting the elbows in upward direction. Continue standing in same pose for 15-30 seconds. After that unwind your legs & arms and get back to normal Tadasana posture. Practice same process with arms and legs for same period of time. Inhale and exhale breathe gradually & steadily. Continue standing in such position as long as you feel comfortable and easy. One should practice this asana for 15-30 seconds by repeating same process for minimum four times. However time limit and session gradually increases along with increase in practice of Garudasana. Garudasana benefits you for increasing flexibility of body by stretching shoulders, upper back, hips and thighs. It increases your meditation power by advancing focus of mind. It improves sense of coordination and balance. It is useful for removing urinary problems. It is helpful for kidney and prostate diseases. Garudasana benefits you to reduce pain related to hands & legs. This asana should not be practiced by pregnant women, patients who are suffering from knee injuries and obesity.